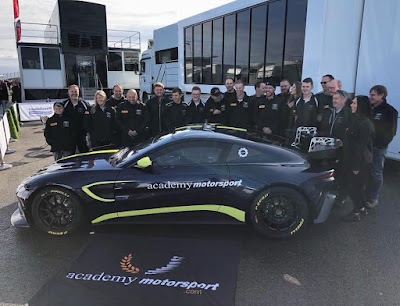 2019 will be very much of an 'old with the old and in with the new' kind of season for the Worcestershire based Academy Motorsport team as the team will start the year with new cars, new drivers, new transporters and new kit. 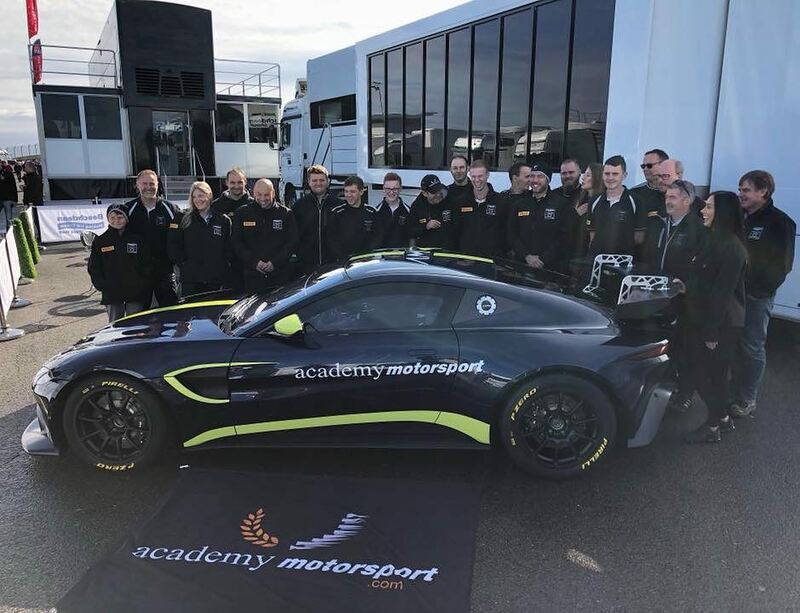 Team boss Matt Nichol-Jones confirmed prior to the last round of the 2018 British GT Championship that his squad had been selected to receive two of the first batch of 2019 specification Aston Martin Racing V8 Vantage GT4 ready for his to field in his preferred British GT and GT4 European Series. Todays announcement was to confirm the first full British GT season entry for Micah Stanley and Ben Hurst who will compete in the Championship's Silver Cup class. Eighteen year old Stanley has prior experience of SRO sanctioned series by already having competed in its GT4 European Series with teams including Street Art Racing and their normally aspirated V8 Vantage GT4 as well as in the BRDC Formula 3 Championship. Hurst, a twenty one year old Canadian national also competed in the BRDC F3 Championship last year and makes his step up to the GT's for the first time. 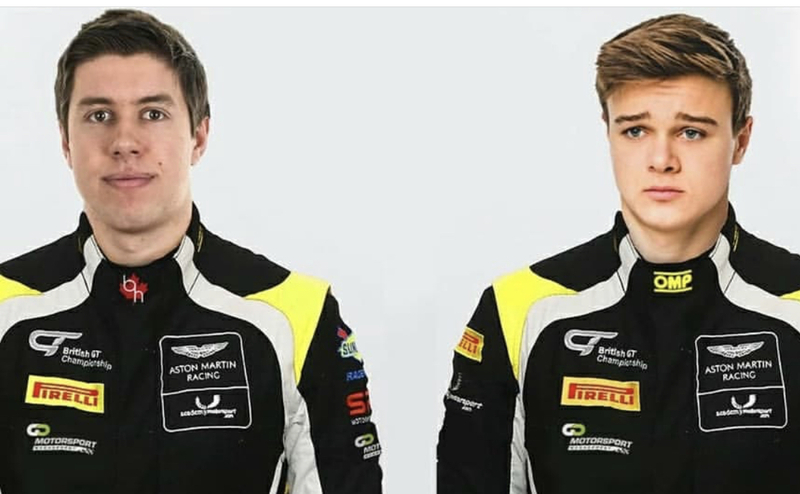 Both drivers have presumably also signed up to the Aston Martin Racings Academy programme - being under the watchful eye of Mick Gomme's Go Motorsport Management company. This news still leaves one vacant seat within the team's second AMR Vantage GT4 that needs filling! Interested parties should contact the team ASAP!